Have you seen the new Official Oregon Wine Touring Guide?! To celebrate the near end of Oregon Wine Month I wanted to share an exciting new publication out for any Oregon wine lover, near or far. The Oregon Wine Board has just released this comprehensive 80-page guide covering all walks of this wine-filled state. When most people think of Oregon wine, the Willamette Valley and, specifically, Pinot Noir are what come to mind. But this state is so much more than Pinot. With more than 18 wine growing regions and 72 different varieties of grapes found in Oregon — from Walla Walla in the eastern part of the state, where Syrah and Cabernet Sauvignon sing, to the Columbia Gorge Region, along the Columbia River, where you’ll find Zinfandel, Merlot, Riesling, Gewürztraminer (and so much more), to the Willamette Valley with the famed Pinot Noir, Pinot Gris, and Chardonnay to name a few, and down on to Southern Oregon where you’ll find Rhone and Spanish varietals — this state has something for everyone. And now there’s finally a guide to help you plan your trip! And it’s gorgeous! Seriously gorgeous!!! In it you’ll find more than 450 listings showing where locals and visitors alike can taste Oregon wines, all of which make planning a trip to Oregon wine country easier than ever before. It’s filled with stunning photography along with profiles of some of the key industry leaders in each state. 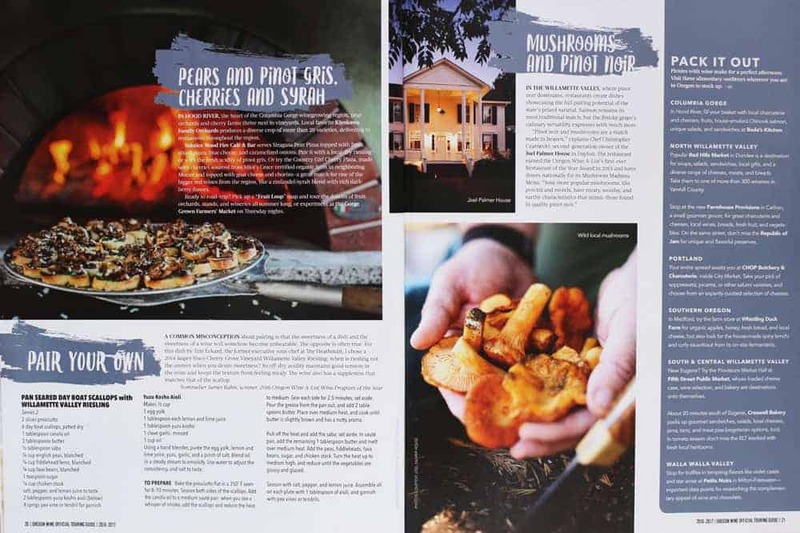 And, shameless plug here, it includes a food and wine pairing overview of each region. 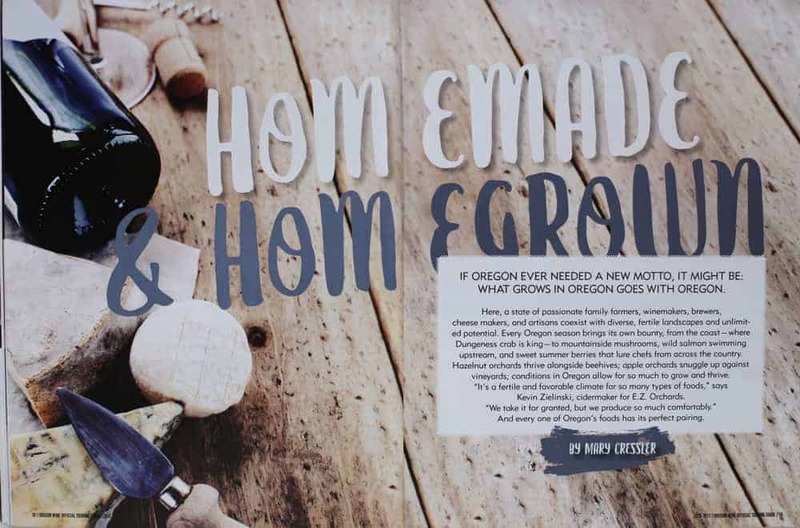 Homemade & Homegrown is a piece I had the honor of writing for the publication. It covers the Oregon grown food and Oregon grown wine pairings that go together. I also included a handy guide to some of my favorite places to picnic in the state. I have to say that this was no easy task — to condense the major foods that grow in Oregon and the wines that pair, in around 600 words? Are you kidding me?! That topic could be a book (anyone want to hire me to write it?). But I did my best and covered some of the major pairings from each of the major wine regions in the state in just a few paragraphs. And I’m so incredibly honored to be a part of this inaugural touring guide. 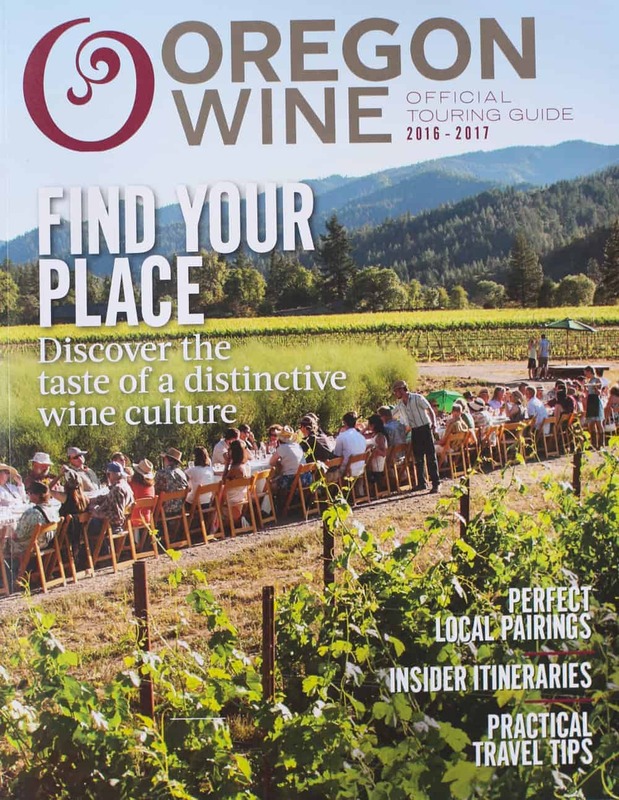 You can find the official Oregon Wine Touring Guide throughout Oregon and Washington hotels, tourism centers, and wineries. You can also request copes directly from oregonwine.org. And you can find a digital copy right HERE! Remember, this weekend is Memorial Day Weekend, which in Oregon means the biggest weekend in wine tourism for the state. Nearly every single winery tasting room will be open for special events and tastings. If you’re local, get out there and visit some wineries. If you’re not local, then get thee to the wine store and buy some Oregon wine to pop open for your weekend celebrations. We’re going to be checking out some of the Portland Urban Wineries this weekend, then home to barbecue, barbecue, and barbecue. What’s your plan? So page 18 is really all we need to see, right? 😉 Congrats on the article! I picked up the guide last week and hadn’t looked at it yet, but I definitely will now! This publication is SUPER CUTE! I am loving your article, that’s exactly the kind of thing I would want to read. Thank so much for sharing!